He's perhaps the quieter, undersung hero of Russian literature, sometimes submerged under the tidal waves of Tolstoy, Chekhov, Dostoevsky and the rest. Yet to encounter his novella First Love is to find a work so perfect that it encapsulates an ideal story structure before anyone thought there was any such thing, and - perhaps more importantly - there is not one spare paragraph in it. I once attempted to abridge it for reading with music and it simply couldn't be done. Remove any tiny element and the edifice is wrecked. Ballet-lovers are - as so often with rare music and literature - better informed than many of us. A Month in the Country is probably seen more often in Frederick Ashton's beautiful Chopin-filled interpretation than as Turgenev's original play, at least in the UK. Viardot was a protegée of George Sand, friend of Chopin, sometime pupil of Liszt, sister of Maria Malibran and inspirer of music ranging from Meyerbeer and Berlioz to Saint-Saëns, Brahms (the Alto Rhapsody) and - at a bit of a tangent - Bizet. She was of course a fabulous composer as well and Turgenev wrote her three operetta libretti. He also wrote a libretto for Brahms, which - dang - was never set. Saint-Saëns brought the young Fauré to her salon where he fell in love with her third daughter, Marianne, and spent four formative years amid this extraordinary milieu. Turgenev was fond of Fauré and helped to persuade Marianne to accept his proposal - only to have her dump him three months later, scared away, apparently, by the young composer's passionate intensity. 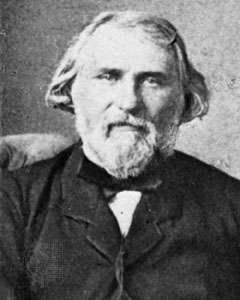 Fauré spoke touchingly of Turgenev later in life, remarking that whenever he read his prose, it was as if he could hear the author's gentle voice again. 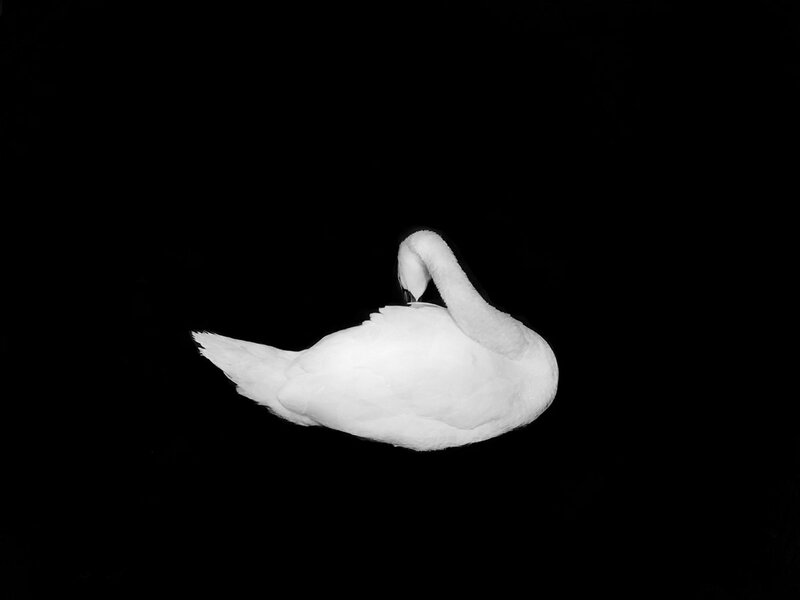 Q: Ooh, Odette? The World War II spy? Or Proust? J: Er, no. Swan Lake. Q: The Tchaikovsky ballet? So did you go to Russia to research it? J: Actually, the book's set in a university town in East Anglia in 2018. Q: So it's, like, real fiction? J: Well, one of the main characters turns into a swan every day, so, yep. Q: Maybe I should get it for my 9-yr-old daughter. She's mad about ballet. J: Well, it's not really suitable for 9-yr-olds, and there's no actual ballet in it. Q: If there's no ballet, what's it about? J: Outsiders. How we treat them. How they respond to us. How we change each others' lives. How much responsibility do we have to look after other people? Q: And it's for which age group? J: Adults, though could probably be enjoyed by the young adult market. Q: But who's it aimed at? Q: How come it took you 26 years? Q: But why did you keep trying? J: I couldn't let go of it. I couldn't just leave it there. There's something in that book that holds all I wanted to be and say before my parents and sister were ill and dying and before the domino effect that had on daily existence. It contains something that's innocent and hopeful and human. And finally I want to get it back in some way, or at least find I didn't entirely lose all of it in the onslaught. It's changed over the years, of course, on every rewrite, but the essence of that search is still there. As Solti would have said: never give up. Dear friends, if you would like to support ODETTE, you have just 3 DAYS LEFT. To get your name onto the patrons' list, please sign up before the end of 28 October. Publication date is 29 November, in time for Christmas. At Unbound you can pre-order by pledging for a paperback, a digital copy, or good deals for two copies or five, or other special offers. OK, OK, I exaggerate. In fact, my copy is late because I am still agonising over what to say about the recording's content. 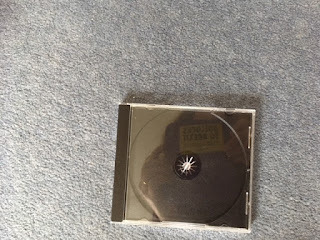 But I do wonder: what is the earthly use of wrapping CD boxes in clear plastic which then has to be removed and, crucially, "thrown away"? Given the state of my study bin, I can't imagine the state of CD-wrapper landfill sites. Add to that the amount of the stuff that results from a single trip to the supermarket - plastic packaging, sometimes several layers of it, around everything from apples to avocados, from gluten-free biscuits to cat food - and the situation becomes ludicrous, because it is so unnecessary, and so desperately damaging. 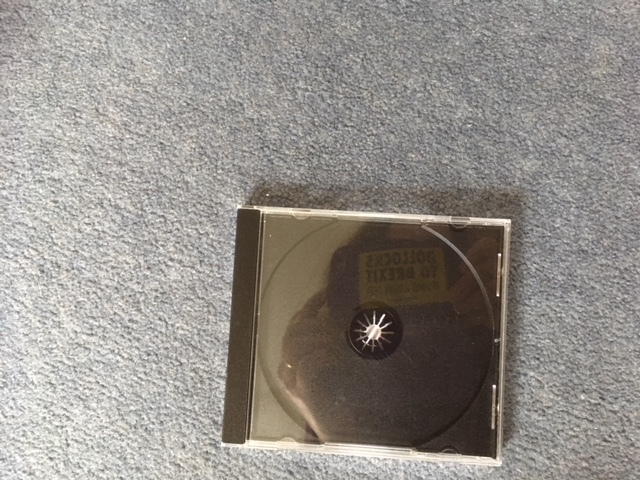 This business with the CD wrappers has been going on for as long as CDs have existed - so 35-odd years. I don't think much of the so-called 'jewel cases' either - rarely does one enter the house via the post unbroken, and the little teeth that hold the middle of the disc in place have a way of breaking off and falling under the desk, where your hoover's 'crevice nozzle' might pick them up if you're lucky, and you have to hope they don't jam up the machine's mechanism on their way in. They end up in the same landfill, I expect, but inside a hoover bag. We don't need this. What's the answer? 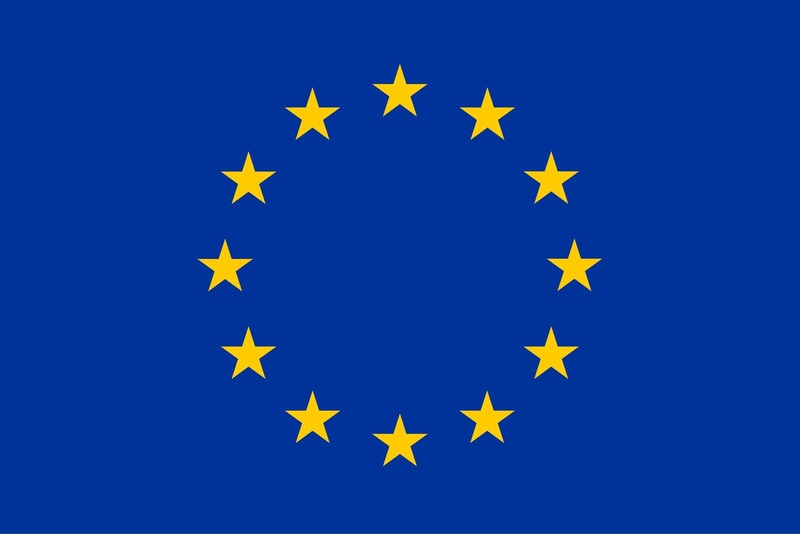 Streaming doesn't pay the right people enough yet - though the new copyright directive may help - so is not as sustainable a solution as we'd like. But there are different ways of designing and making CD covers. Some companies have been finding alternatives for quite a while, but not enough of them. Plain, recyclable, non-plastic cardboard and paper would be a good solution - just like the old LP sleeves with the inner, paper jacket around the record. I've been wondering for years why this hasn't made a comeback in smaller form. If you need to ensure the thing is closed, there are means to do that too: a spot of glue; a pretty red ribbon; a length of decorative but tough string. (Any cat will tell you that a cardboard box takes a lot of beating - to say nothing of string, of course). Dear record companies, please ensure you make some progress on this sooner rather than later. Now I must return to that CD review and try to say something tactful about the tenor. Over and out. Update: for more on why we must phase out plastic, read Gaby Hinsliff here. Born in Dublin in 1852, Charles Villiers Stanford was born into a community of brilliant Anglo-Irishmen in the mid-nineteenth century. A student of classics and an organ scholar at Cambridge, he was mentored by Sterndale Bennett and Joseph Joachim which led to further musical training in Leipzig and Berlin. An apprenticeship in the organ lofts of St Patrick’s and Christ Church Cathedrals in Dublin were also formatively important for his appointment as organist of Trinity College, Cambridge, a position he held from 1873 until 1892. Stanford’s great originality as a composer of church music undoubtedly owes much to this time. But by the time he was appointed Professor of Composition at the Royal College of Music in 1883, he was already the accomplished author of an opera performed in Hannover, two symphonies, chamber music, choral music and songs, and by 1888, when he became Professor of Music at Cambridge, he had composed two further operas, his ‘Irish’ Symphony Op. 28 (much admired by Hans Richter) and an oratorio for the 1885 Birmingham Festival. After resigning from Trinity in 1892 he was able to concentrate on his commitments as a teacher and conductor. In London he directed the Bach Choir, and later, in Leeds, the Philharmonic Society. 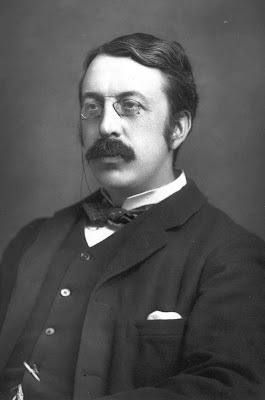 From 1901 until 1910 he was the artistic director of the Leeds Festival for which he wrote many of his best choral works including the Songs of the Sea Op. 91 (1904), the Stabat Mater Op. 96 (1907) and the Songs of the Fleet Op. 117 (1910). Although we tend to associate Stanford with choral music, and particularly with works written for the Anglican liturgy, he was an extraordinarily versatile composer across a wide range of musical genres – indeed, his greatest aspiration was to be a successful composer of opera, though, beset with disappointments, this hope largely eluded him. During the First World War Stanford found himself in straitened financial circumstances and this situation did not improve after the war was over. In need of work and royalties, he gained some income from the composition of anthems, and music for the piano and organ. His large-scale works were, however, turned down by publishers who were more receptive to a new generation of British composers. Among these items were two fine string quartets, the tone poem A Song of Agincourt Op. 168 , the Violin Concerto No. 2 Op. 162, the Piano Concerto No. 3 Op. 171, the Concert Piece for Organ and Orchestra Op. 181 and the Mass ‘Via Victrix 1914-1918’ Op. 173. I have known of the Mass ‘Via Victrix’ for many years and became familiar with its pages while carrying out research for my book on Stanford (published in 2002). Boosey published the vocal score; this was part of the normal process for choral works. The publishers would reap their profits from the sale of multiple vocal scores, but the full score, far too expensive to publish, would be available usually in a copyist’s hand. One of the major obstacles which prevented the performance of the Mass in the past is that no orchestral parts existed. Stanford directed a performance of the ‘Gloria’ movement of the Mass at a concert in King’s College Chapel, Cambridge on 15 June 1920 in a concert of music by Cambridge composers (which included music by Cyril Rootham, Vaughan Williams, Charles Wood, Alan Gray, Hubert Parry (on whom was conferred an Hon. Mus.D in 1883), E. W. Naylor, in honour of the newly-installed Chancellor and music-lover, Arthur Balfour, 1st Earl of Balfour. The concert was also attended by the Prime Minister, David Lloyd George, Austen Chamberlain (Chancellor of the Exchequer) and Lord Robert Cecil, one of the architects of the League of Nations. The performance of the ‘Gloria’ may have had an auspicious audience, but it was only with organ. Stanford died in March 1924 and so never heard the Mass performed complete as the concert work he envisaged with orchestra. When Adrian Partington expressed an interest in BBC National Orchestra and Chorus of Wales performing the work (on 27 October the soloists are soprano Kiandra Howarth, contralto Jess Dandy, tenor Ruairi Bowen and bass Gareth Brynmor John) to commemorate the centenary of the end of the First World War, I mentioned that it would be necessary to make a performing score of the work from the autograph manuscript now in the British Library. When this was agreed with the BBC, I undertook the making up of a modern performing edition, using both the manuscript and the published vocal score, ironing out inconsistencies and variants, mistranspositions, missing accidentals, as well as artistic details which changed between the orchestration of the work and the publication of the vocal score – a change of harmony here, an alteration in underlay there. Over the years I have become familiar with many of Stanford’s autographs and, as one becomes accustomed to the style of handwriting and notation, one feels carried along by the hand of genius, a brilliant architect and orchestrator - a master of his craft. Stanford produced a substantial corpus of choral works of varying proportions and across a range of choral genres. We have still to acquaint ourselves with his two major oratorios for Birmingham – The Three Holy Children Op. 22 (1885) and Eden Op. 40 (1891) and there are still works such as the Elegiac Ode Op. 21 (1884), The Voyage of Maeldune Op. 34 (1889) and the Choral Overture Ave Atque Vale Op. 114 (1908) which I am sure will reveal new seams of gold in Stanford’s remarkable imagination when it comes to the setting of voices. Among the pillars of his output, however, are undoubtedly the Requiem Op. 63 which he wrote for Birmingham in 1897 (which Stanford played privately for Elgar when the two were friends in Malvern) and the Te Deum Op. 66 of 1898 which he wrote for the Leeds Festival. Both use forces of four soloists and combine Stanford’s flair for symphonic music with his love and instinct for the theatre. Each movement was conceived on a symphonic scale using the same forces as the Requiem, Te Deum and Stabat Mater. The Kyrie is deeply melancholy, in the manner of a funeral cortège. The two most extended movements – the Gloria and the Credo – are highly dramatic in their changes of mood and tempo while the Sanctus (a slow movement) is a tripartite structure with the Benedictus at its centre. The Agnus Dei, a solemn tribute to those who sacrificed their lives, builds on the drama of the Requiem in that it is essentially a Funeral March. At the beginning of the movement, the music of the Kyrie is recalled, but the original cortège music is replaced by a moving threnody for solo soprano with viola obbligato. This forms the outer sections of a ternary form whose dramatic funeral march for orchestra alone constitutes the ‘trio’. The closing ‘Dona nobis pacem’ incorporates an allusion to the final bars of the ‘Gloria’, though, before the celestial coda – a translucent suffusion of F major – the soprano soloist’s dramatic reiteration of ‘Agnus Dei’ on the Neapolitan (again in the manner of opera) comes as a fervent supplication to the world in the name of peace. 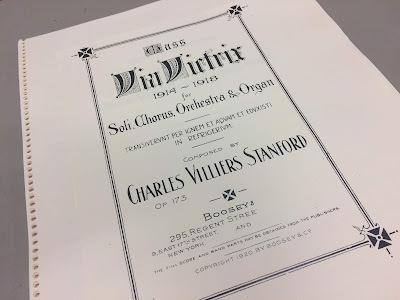 The Mass ‘Via Victrix 1914-1918’ occupies a unique place in Stanford’s output in that it makes conscious reference to an earlier work. Not one normally given to the quotation of his own music, he evidently felt that the powerful sense of redemption expressed in the mass’s dedication and in his Stabat Mater justified the quotation of the ‘redemption’ theme from the latter (the ‘redemption’ theme is first presented as the second subject of the overture) in both the Credo (at the point of Christ’s burial) and the Benedictus (where it functions as a cantus firmus in a contemporary interpretation of the eighteenth-century chorale prelude). Stanford’s Mass, along with his Requiem, are in fact rare examples of British concert masses (in contradistinction to liturgical settings by Stanford, Vaughan Williams, Darke, Howells and others). Ethel Smyth’s somewhat elongated Mass in D of 1891 lies at the vanguard of the few settings there are in the repertoire, but Stanford’s Mass ‘Via Victrix’ is surely one of the finest indigenous examples couched in the tradition of the nineteenth-century symphonic genre (comparable with those of Beethoven, Hummel, Rossini, Puccini, Bruckner, and Dvořák). However, as a ‘war’ mass, it occupies an even rarer position in British music of the twentieth century and predates the hybrid works of John Fould’s A War Requiem (1919-1921) and Benjamin Britten’s A War Requiem (1961-2) which use the text of the Requiem Mass together with poetry from other sources. And what of the future for Stanford’s mass? Though it is undoubtedly a personal response to the First World War, there is no reason, given the neutral and more universal nature of the genre, why it could not serve as a piece for other solemn occasions, particularly at the time of the Armistice. Moreover, as a symphonic concert mass, it contains music of a high order which could easily stand alone on its own musical terms. My hope is also, that, with the prospect of a commercial recording on the Lyrita label for release in 2019, the mass will take on a new life after a century of neglect and that it will contribute yet further to our fuller comprehension and appreciation of one of this country’s most brilliant and versatile composers. 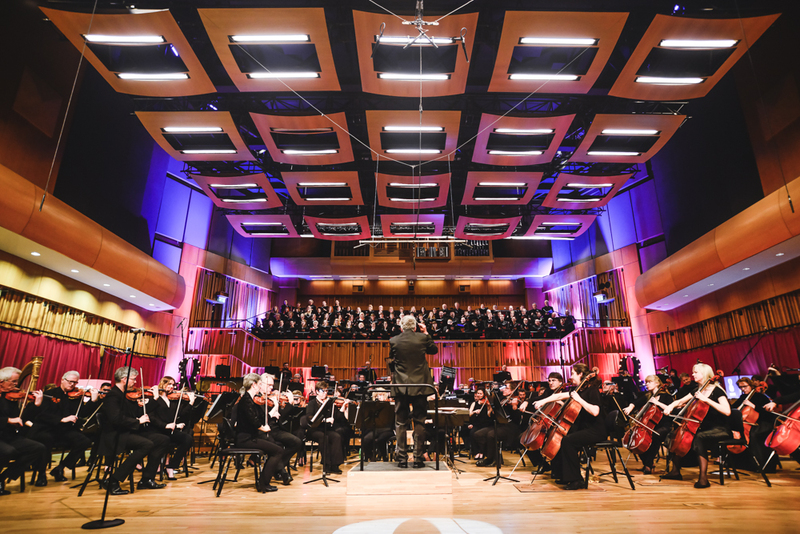 BBC National Orchestra of Wales perform the first complete performance of Stanford’s Mass Via Victrix on 27 October at BBC Hoddinott Hall, conducted by Adrian Partington. It will also be recorded for broadcast on BBC Radio 3 in early November. Booking here. 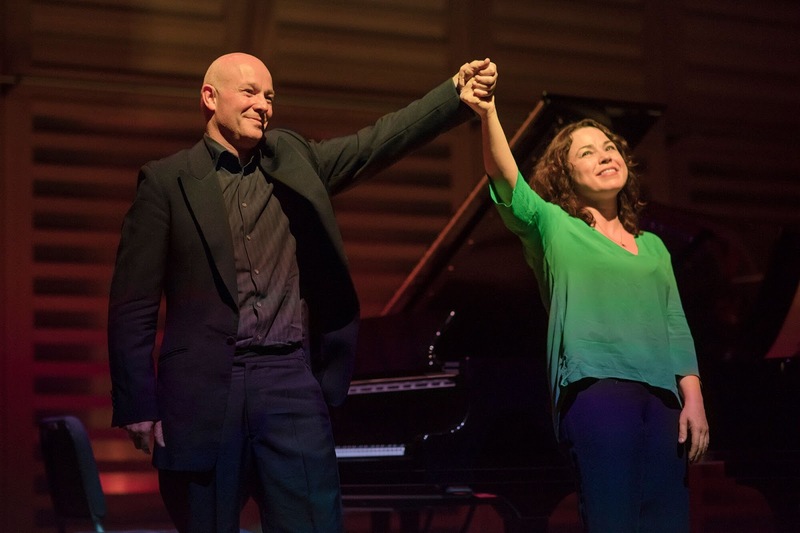 I had a whale of a time at the London Piano Festival opening last night, trying to puzzle out what makes the duo of Katya Apekisheva and Charles Owen quite so special. It's just one of those crazy things: even if there's an argument that they are such different pianists that together they have a kaleidoscopic range at their disposal, there's also something magical about the chemistry. What's more, Kings Place has a new Steinway and it sounds pretty bloody marvellous. I''ve reviewed the concert for The Arts Desk. Read the whole thing here. Can't help remembering my hideous experience on last year's opening night when I got the cough from hell in the middle of the Rachmaninov Suite No.2. Blissful breathing this time. phew. Lots more LPF to go: Konstantin Lifschitz tonight, Leszek Możdżar tomorrow, on Saturday a full afternoon and evening of Paul Roberts Debussy lecture recital, Pavel Kolesnikov and a two-piano gala bringing in Margaret Fingerhut, Stephen Kovacevich and Samson Tsoy, and finally Alexandra Dariescu, ballerina and virtual reality for The Nutcracker and I on Sunday afternoon. Like her compatriot Monteverdi, and her teacher, Cavalli, one gains the impression that there is nothing Strozzi will stop at in her music to bring out the ultimate degree of emotional expression. The unusual thing is that here is a woman writing music about a woman's raw, impassioned, devastating experience, in the 17th century. Monteverdi and others wrote of women's lost loves, and very effectively (try this), but there's an edge to Strozzi's lament which seems to rise from the depths of the soul - and unlike Monteverdi's Ninfa, she's unobserved by men calling her 'Miserella'. Strozzi was termed "the most prolific composer - man or woman - of printed secular music in Venice" of her day. 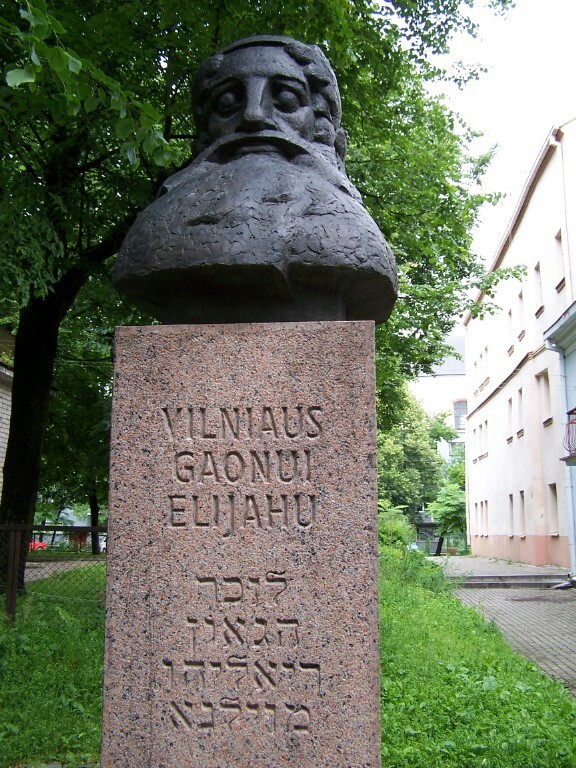 A poet as well as a composer, and a mother of four, she remained unmarried; she was the mistress of a patron of the arts who was the father of three of the children. Jealous contemporaries said she was a courtesan and the one famous portrait of her shows her with one breast exposed. The reality seems to have been that she was a phenomenally gifted artist who had been encouraged and well educated in music by her father, the librettist Giulio Strozzi. She was supposedly adopted, but most likely the illegitimate daughter of Strozzi and a family servant. An 'outsider', therefore, in terms of social position and artistic inclination, she forged a remarkable and individual path as a musician, with enormous tenacity. Tomorrow's concert explores not only Strozzi, but also the French composer Elisabeth Jacquet de la Guerre and Strozzi's similarly prolific compatriot Antonia Bembo, also a pupil of Cavalli. Heather Newhouse sings, the cellist is Benoît Morel and Franck-Emmanuel Comte is at the harpsichord. Our talk is at 6.30pm and the concert at 7.30pm. More details and booking here. As I slunk homewards from ENO's opening night, a friend on Twitter kindly sent me the above headline. It's from an anthology of winning entries to competitions in The New Statesman, edited by Arthur Marshall, and cheered me up somewhat. Not that ENO's Salome would have needed to worry, because there wasn't much evidence of a severed head at all: just a placcy bag that for all we know might have contained a large cauliflower. 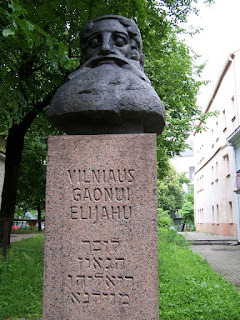 One's cynical side considers it's probably cheaper than constructing a replica head of Jokanaan. I love good reinterpretations of operas. Like science fiction or magical realism (in which I've been learning a thing or two recently), they need to create consistent worlds, to make sense within those worlds and, if stretching disbelief, make us believe one big thing by getting the small things right. The denouement has to be stunning, too, to make everyone feel they have suspended that disbelief for a good reason. Under the circumstances, a radical feminist interpretation of Strauss's Salome should be eminently possible, especially with such a fine actress as Allison Cook in the title role. The story contains plenty of potential: a young woman, her sexuality awakened, frustrated, abused and finally twisted beyond redemption, is destroyed by men's attitudes to her - brutal religious fundamentalism on one hand and the incestuous lust of her stepfather on the other. But if that was what was going on in Adena Jacobs' production, it didn't quite work. Herod is an almost pantomime Father Christmas - red and white cape over a gold vest and bare legs - bringing Salome jewels wrapped in big bright parcels with bows on. Jokanaan is first revealed wearing pink stilettos. There's a lot of pink, à la Anna Nicole, but including a decapitated pink horse, suspended upside-down spilling entrails that turn out to be pink and purple flowers. There's a lot of blood around, meanwhile, but it's pink too. In the midst of this, Salome is good at yoga, but leaves the heavy-duty moves to four lookalikes, also clad in black bikini bottoms and blonde wigs, who help out with the Dance of the Seven Veils. ("Twerking," my companion mused. "So 2013.") And there's a lot of sexuality, whether the self-pleasuring of the lookalikes, or what happens when the close-up live film projection of Jokanaan's mouth is turned on its side and begins to resemble something else, with teeth. Some might object to all of this on principle; conversely, a lot of people seemed to enjoy it very much. I have no problem with the components (with the exception of the dead horse, which reminds me of Graham Vick's Glyndebourne Don Giovanni from last century and therefore seems derivative, and besides, I can't bear it when bad things happen to animals). But I'd like to know whether it really adds up to more than the sum of its, um, parts. I found no particular revelations within it and three days later I'm still musing over exactly what insights we were supposed to gain. Strauss keeps right on being Strauss and sometimes all one could do was listen, because Martyn Brabbins was working such high-octane intensity with the ENO Orchestra that they swept all before them. The magical, lustrous scoring shone out, the pacing magnificently managed. 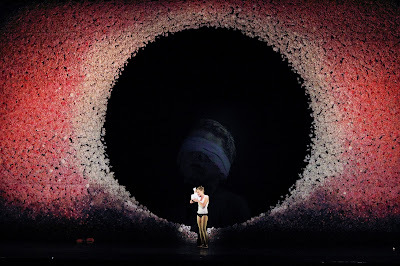 David Soar's charismatic Jokanaan had his moments, but at other times the range sounded too high for him; Cook's Salome, too, offered a lower voice than suits the role's stratospheres. Supporting roles were all excellently sung. Michael Colvin as Herod gave a fine performance despite the Santa Claus coat, and Susan Bickley's Herodias - dignified and still at the centre of the whole - was perhaps the best of all the many ideas.